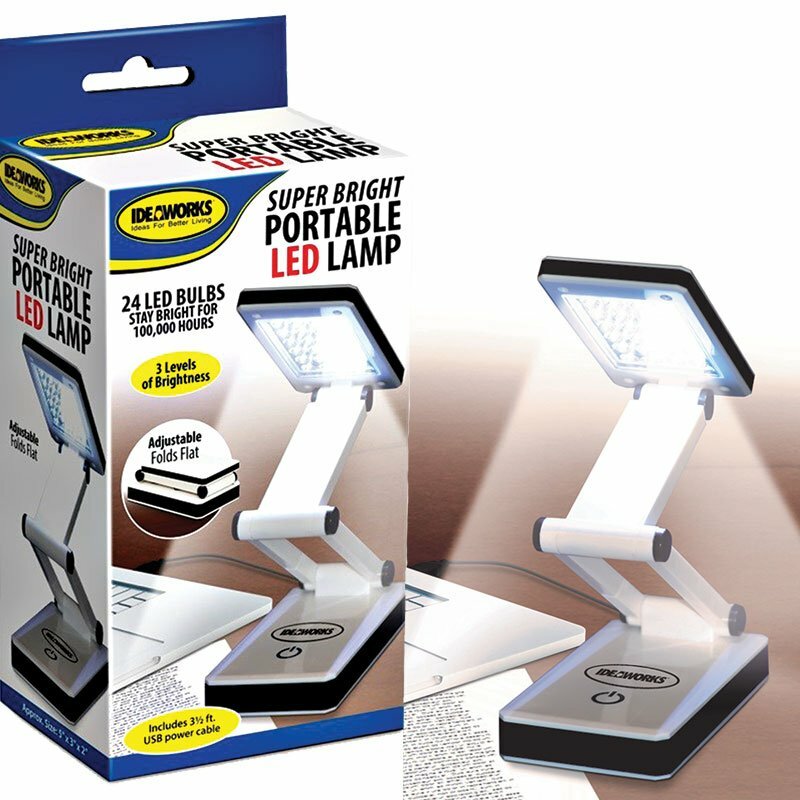 The Super Bright Portable LED Lamp has 24 LED bulbs that stay bright for 100,000 hours. This light features 3 levels of brightness. It is adjustable, opening to 9-1/2" tall and folding as flat as 1-1/2". Battery or USB powered, the box includes a 3-1/2' USB power cable.